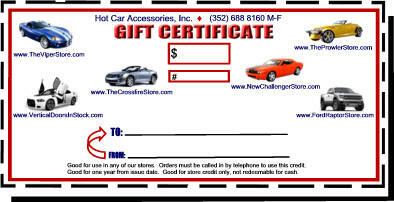 GIFTCERT Gift Certificate - for "The Viper Store"
Purchase the gift that any Viper owner will love! Choose amounts in drop down menu when ordering. Good for one year from issue date. Certificate can be mailed (and emailed) to you or recipient. Store Catalog 8.5" X 11" format. Printed full color on glossy white pages. 40 Pages of over 200 different upgrade products specifically for your Gen 3 or Gen 4 or Gen 5 Snake! 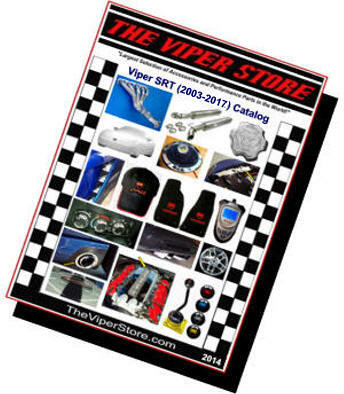 Most of the products you will only find at TheViperStore.com.